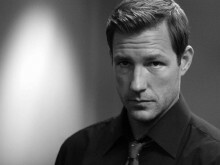 Edward Burns was born on January 28th 1968 in Woodside, Queens New York. The second of three children of Irish Catholic immigrants. His father Edward J. Burns was a Police Sergeant and active spokesperson for the New York Police Dept. His mother Molly, worked for the Federal Aviation Administration at Kennedy Airport. Edward, along with his older sister Mary and brother Brian were raised in Long Island. He attended Catholic Chaminade High School before transferring to a public high school. He went on to attend The State University of New York at Albany and Oneonta College in New York to major in English Literature. During his junior year he transferred to Hunter College in Manhattan, studied filmmaking and began writing the first of many short films. Upon graduating and through his father’s connections secured a job at Entertainment Tonight in 1993 working at as a “go-fer”. There he was able to finance and begin working on The Brothers McMullen (1995), A comedy focusing on life’s trials and tribulations facing three Irish-Catholic siblings. Shot primarily in his parents’ Long Island home, with a cast of unknowns including Burns himself and his then-girlfriend ‘Maxine Bahns’. The feature was filmed over eight months’ time with a budget reported of about $ 30,000. Rejected by a series of distributors, The Brothers McMullen (1995) bowed at Sundance, after giving Robert Redford a copy of the film while working on ET. In 1995 his film won the festival’s Grand Jury Prize, becoming one of the most successful independent efforts of the year. He then sold the film to 20th Century Fox’s Searchlight Pictures. For his follow-up Burn’s wrote and directed She’s the One (1996), Burns retained much of McMullen’s cast and crew, including girlfriend ‘Maxine Bahns’. He was also able to cast up-and-coming stars Jennifer Aniston and Cameron Diaz in pivotal roles, with original music from rocker ‘Tom Petty’. Filmed with a fulsome budget of almost three million dollars, the romantic comedy premiered during the summer of 1996 successfully. Burns soon began work on his third feature, _No Looking Back_ (qv_. A romantic drama set in a coastal town’s working-class community. Burn’s career seemed to be flourishing, but his personal relationship with Bahns, to whom he became engaged, ended after eight years. During filming of No Looking Back (1998), there were reported romantic sightings with Burns and his co-star Lauren Holly. The relationship seemed to end when the film was released in 1998. That same year, Burns co-starred in the Steven Spielberg World War II epic Saving Private Ryan (1998). Burns continued a good year, with a pivotal role in one of the greatest films of all time and a new relationship with Heather Graham. In an interview with USA Weekly Magazine, Heather stated they met in a bar in LA, they exchanged numbers and had numerous conversations. He than flew back to New York and she flew to the east to see him a month later. Soon after Burns and Heather were seen at many premiers and events. It was also reported that couple was living together. Their relationship ended after two years. Although Burns and Heather were dating during filming of his next project 15 Minutes (2001) starring along side Robert De Niro, Burns attended the premier with non other than Christy Turlington. While his next few films did not make much of a dent in the box office including his film Sidewalks of New York (2001), which co starred Heather Graham. His relationship with Christy was getting hot and heavy. The couple got engaged in 2001. It was then reported their engagement was called off, but the couple reunited after a 7 month split. Burns and Christy got married on June 7th, 2003 and welcomed their first child, Grace, born on October 25th, 2003. Burns most recent projects include writing and directing The Groomsmen (2006) and Purple Violets (2007). He welcomed his second child (Feb/2006) with wife Christy. A boy name Finn. Burns is committed to writing and directing his own films. He’s not affected by his futile work and continues his own projects with poise. Tackling touchy relationship subjects and pioneering real life matters. With his portray of Woody Allen -like films, there is no doubt Edward Burns will continue to dazzle us with his undeniable talent while gaining the recognition he deserves as a great writer and director. Do you want to hire Ed Burns? Directly request a quote. In 48 hours we can send you the availability of Ed Burns If you would like to book Ed Burns, Entertainment Booking Agency is the right place. We will offer you the best price and contact the management or we directly contact Ed Burns. For corporate appearances or speaking engagements you can contact our agents and the will help you true the process. Tags: hire Ed Burns, Ed Burns booking, book Ed Burns, Ed Burns appearances, find more information on booking Ed Burns for appearances, Ed Burns speaking engagements, Ed Burns endorsements/spokesperson, Ed Burns appearance fees, Ed Burns booking agency contact info, biography of Ed Burns, Contact an artist booking talent agent find a speakers bureau that can book Ed Burns, speaker booking agency for Ed Burns, Ed Burns booking agency, Ed Burns booking for corporate event. EBA is one of the biggest entertainment booking agencies in the World. We book hundreds of celebrities, artist, athletes and speakers in a year. Important to know is that we are not claiming to be the management of Ed Burns. We are not the official agent for Ed Burns. Companies from around the globe book these artists and speakers true our company be course we have one of the biggest networks and we always have direct contact with the artist or the management. We help you to find the right celebrities for your corporate of private events. Please contact one of our agents to get free advice and we will help to get the world-famous artist on your party.